HRMA Princeton is an affiliate of the Society for Human Resource Management (SHRM). Whether you are new to the HR field or have many years of experience, we are your starting point for networking, information, professional development and continued support of excellence in Human Resources. If you are not already an HRMA member, we encourage you to JOIN and take advantage of all the benefits that membership offers. We welcome your use of this site as a resource and suggest you to check back frequently for updated information. We also encourage your involvement and suggestions about all of our activities, on the web and off. Did you designate HRMA Princeton (0152) as your primary chapter? Click HERE to get the form and learn more. The GSC-SHRM 28th Annual Conference & Expo will be held in Atlantic City from October 6th through 8th. If you are interested in being a speaker, or know someone you are interested in seeing present at the conference, the time is now for you to take action. Additionally, SHRM is running a special membership promotion through 12/31/19 that gives members who join OR renew a $20 discounted rate using code STATE20. We Support the SHRM Certification! 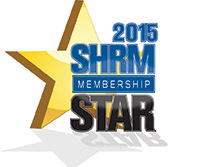 HRMA Princeton is recognized by SHRM to offer Professional Development Credits (PDCs) for the SHRM-CP or SHRM-SCP. Check back for upcoming course dates. Would your organization like to promote its services to HR professionals in the Princeton area? We have a variety of sponsorship options available including a spot right here on our home page! Click here for more information. Hyatt Regency Princeton, Carnegie Center, Rt. 1. Networking & registration begins at 5:30pm, meeting starts at 6:00pm. The Garden State Council is the umbrella organization for all SHRM chapters in the State of New Jersey. Please check out their website at: www.gscshrm.org. Please follow this link for more information on the Affinity Partnerships negotiated by the Garden State Council – SHRM. These include discounted benefits for you individually and for your companies.